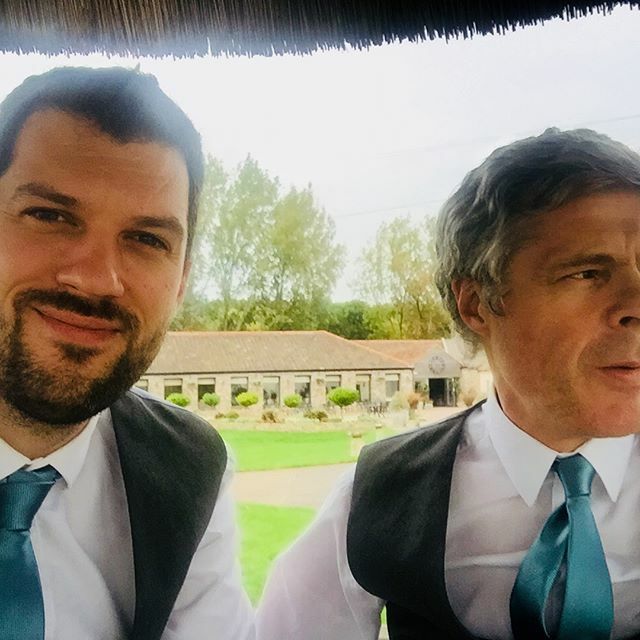 Whether you need an acoustic performance for your wedding ceremony, background music for your wedding breakfast, or just as guests mingle, Halflight Acoustic Duo can help. What does Halflight Acoustic Duo provide? We provide Sam, one of our talented lead singers (who is also Halflight’s guitarist), and Sean, Halflight’s drummer, who plays bass, drums and keys (although sadly not at the same time). Together, they cover a large range of musical genres and arrangements. The guitar/bass/piano combination really enhances the sound too. Check out our samples. If needed, we can also provide music through our PA system whilst we’re not performing. If we’re around near the time of your speeches, you can also use our mics for a small additional amount. We cover a large range of genres, adapted to an acoustic style. We dial down the vocals to a nice background-music friendly vibe and just add that bit of extra awesomeness to your wedding day or event. We play pop, modern ballads, rock, and funk from the 50s & 60s right through to current hits. The songs we choose for our setlists are really for listening, background music and a bit of singing along. For a full-on rock-out, you’ll have to check out the full band service. Take a listen to our samples here. Our setlists are designed for different kinds of vibe. So for example, if you want gentle love songs for a ceremony, there’s our Ceremonies set list. For background music at a wedding meal, you can choose from setlists 2, and 3 which offer slightly different genre mixes to appeal to different tastes. If there’s anything specific you would like us to play, just enquire. We may well know it already or we may be able to learn it if there’s time in our schedule. We provide music usually in 45 minute sets. We are able to play at weddings within a 20 mile radius of Bristol centre without travel expenses. Modest travel expenses will be added if your venue is a little further afield. Dates are booked up a long way in advance, so check your date early to avoid disappointment.